This superbly located apartment has a patio and garden with panoramic views of Whitby and the sea. Set on the East Side you’ll be as close to Whitby Abbey as you need be. 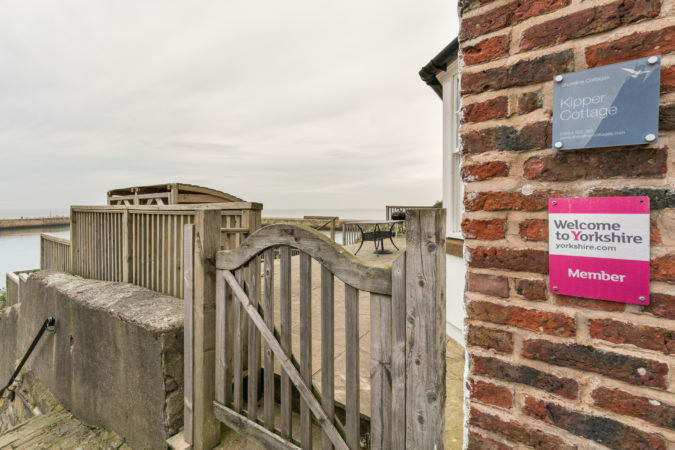 Occupying an enviable position and uninterrupted sea views, Kipper Cottage is a spacious, dog-friendly apartment in a traditional Whitby cottage setting. It has a sea-facing garden – such a rare find in the town. You can sit out ‘til the sun goes down. 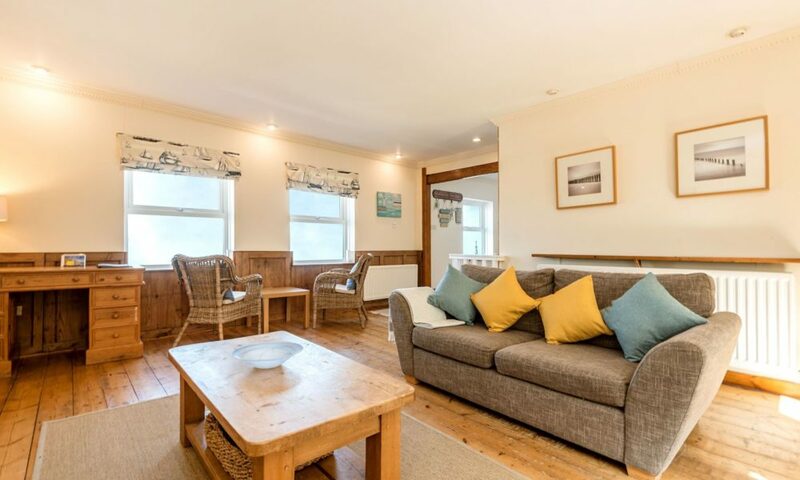 On cooler days settle into the cosy lounge and make use of the free Wi-Fi and Freeview TV, or watch the tide roll away from the bay window seat. 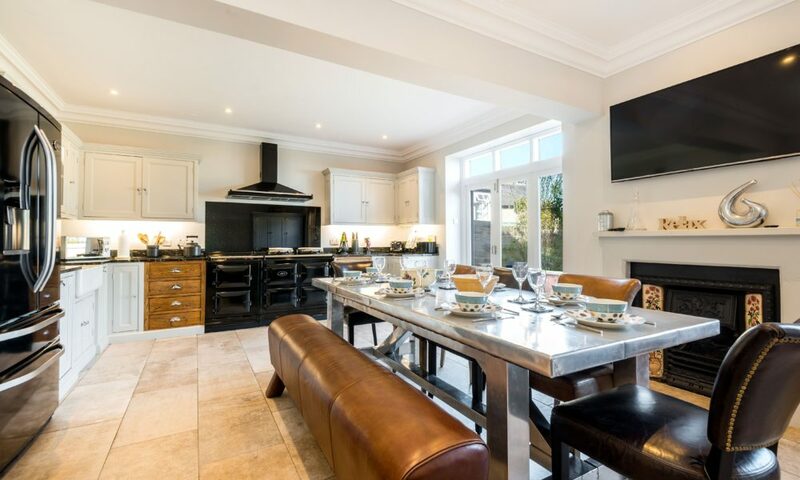 We love the gorgeous kitchen diner, it’s an absolute treat whether you’re cooking or serving up fish and chips! After a day pounding the cobbled lanes, there’s a modern bathroom with a separate shower cubicle to revive you. Kipper Cottage has three bedrooms: two doubles and a triple. The first double has lovely sea views, the second has an en-suite shower room – you choose! This is a basement apartment, reached via a short but steep cobbled path so not suitable for everyone. Our apartment, Captain’s Quarters, is above and the two can be let together for up to fifteen guests. Remember, as an old building there can be occasional noise from visitors in the properties above. 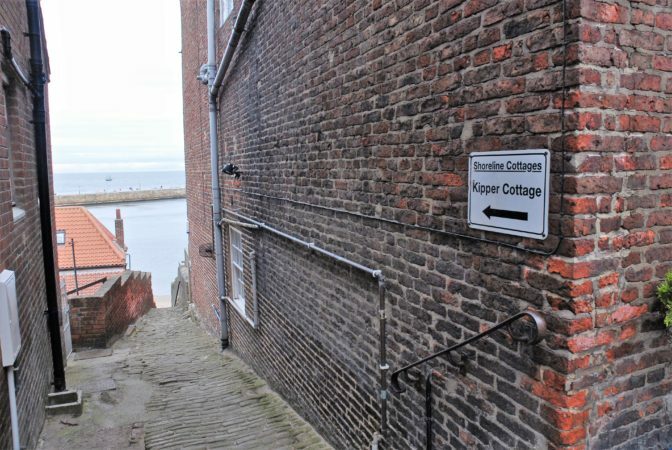 Kipper Cottage is a two-minute walk from Fortune’s Kippers, Whitby Jet jewellers and ice cream parlours. Stay here when you want to be close to Whitby Abbey, the East harbour lighthouse or shops. Parking is in public car parks - the nearest is around fifteen minutes’ walk, or it’s half a mile from the railway station and Marina. 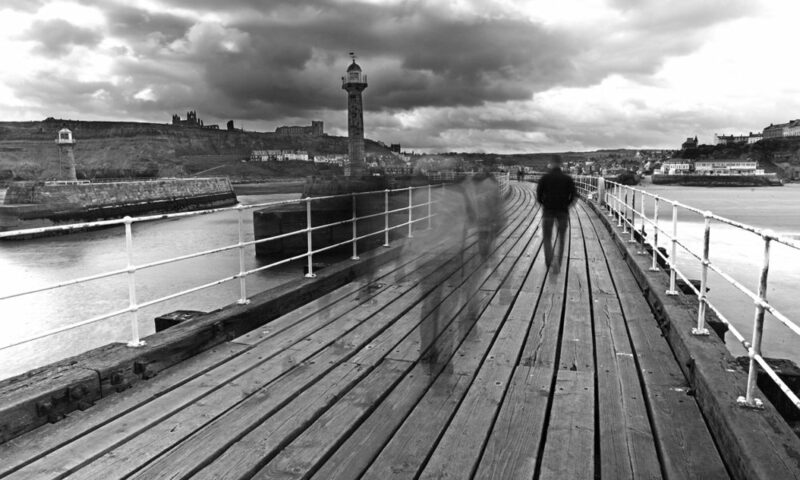 For dogs we’d recommend a stroll up to Whitby Abbey or Tate Hill Beach. It was a beautiful cottage the dogs loved it so ideal for the beach will definitely be returning. Thank you for accommodating my requests for our wedding vow renewal. Also your gardener was lovely, making sure the garden looked good for the photos and billy was so helpful as usual. See you again soon. Had a great time, thanks.